Those gathered for worship were asked to write down a bible story which was simply memorable. The answers were wonderfully varied—men and women, from both the Old and New Testaments, actual people or characters in Jesus’ parables, entire books or specific passages. These are OUR STORIES. The Biblical narrative is a gift–guiding us, inspiring us, challenging us, sometimes making us laugh, and above all giving us hope. Feel free to add your own favorite stories in the comments section. • The Prodigal Son had the father welcome his son back and God welcomes us back into the fold. • The widow and her pennies. It was a nice story. Until I saw the embodiment of it in our congregation. I was so very humbled. It still makes my eyes leak. • Elijah and the flaming chariot. • I like the story of Jesus walking on the water and how it reinforced the faith of the Apostles. • Abraham and his sacrificing his son. 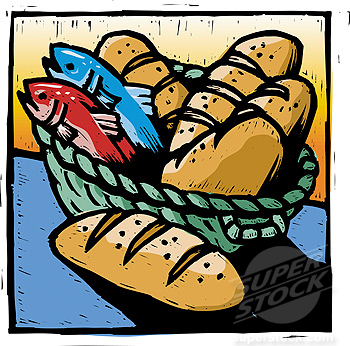 • Loaves and Fishes—feed the hungry. • Peter-was so human. He jumped at the chance to walk on water and floundered when he took his eyes off Jesus. Within a few hours, he was ready to defend Jesus with the sword then denied Jesus 3 times. And God could use a man like that. • The son who was lost and then found. • Daniel, because he is courageous and faces his fears. • Jonah and the whale because it took Jonah a while before he listened to God. Jonah was a slow learner and so am I. • Mary, who might be seen as Divine Mother, is an inspiration. 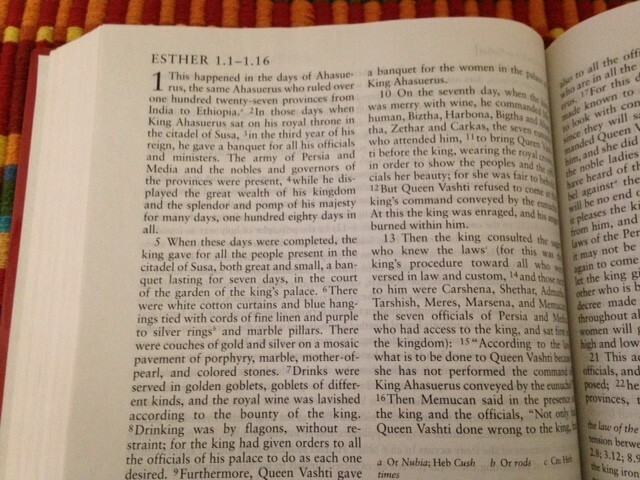 • Story of Esther, her faith and strength. 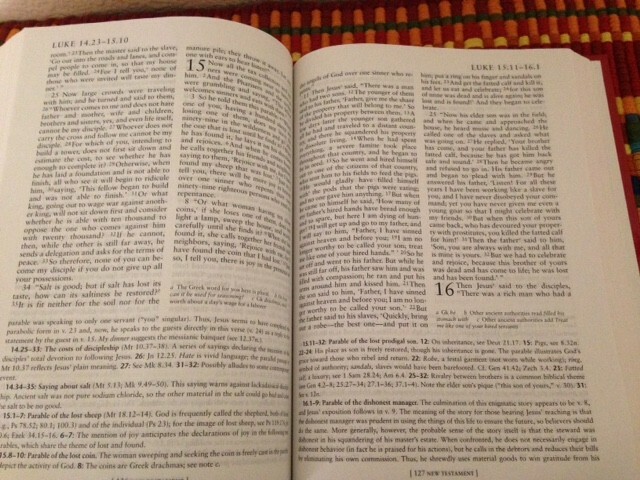 My favorite bible passages come from Paul’s letters to the Corinthians. Even now, these words can be read in the context of present day, giving hope and guidance for our lives.